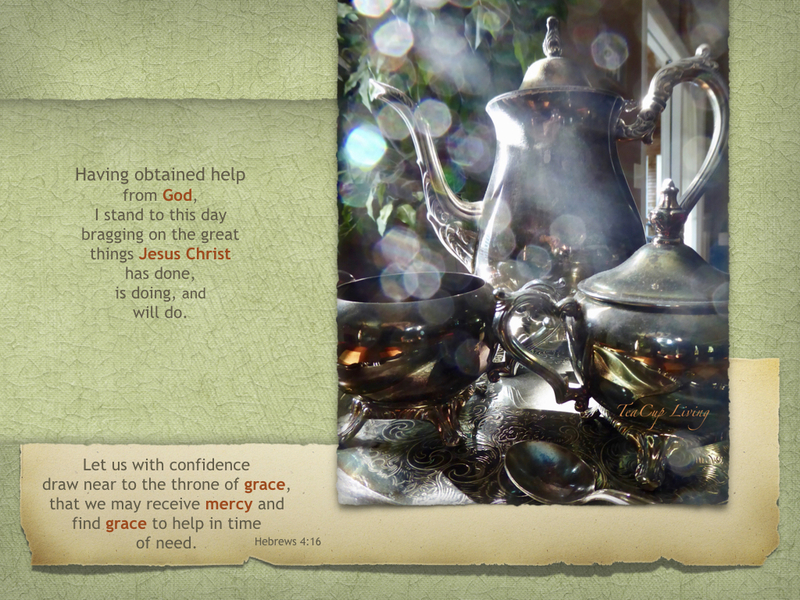 applying scripture to everyday living. Learn how to brag on Jesus in five minutes or less. Experience simple steps in how to share your testimonies in five minutes or less. Your stories give others hope and encouragement. 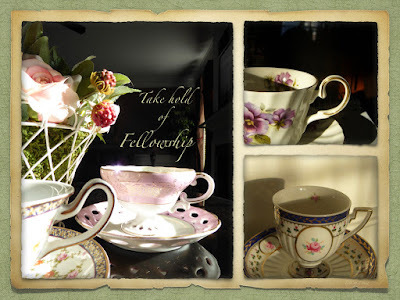 outlines how to start a conversation using a teacup to share the grace of Jesus Christ, the love of God, and fellowship of the Holy Spirit. 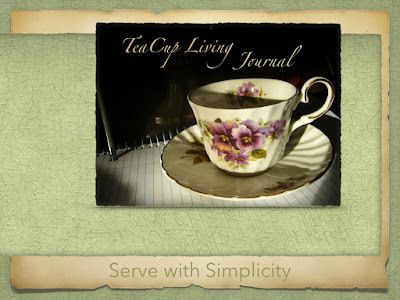 Journaling Simple Hospitality Builds Confidence & Makes the Serve Easy. 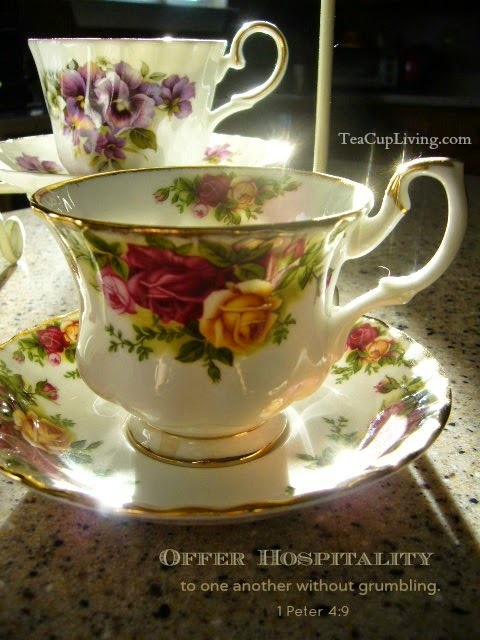 Glean prep tips and proven recipes that makes hosting a tea-time event easy and enjoyable besides learning how to create one's own journal of successes, praises, and blessings. 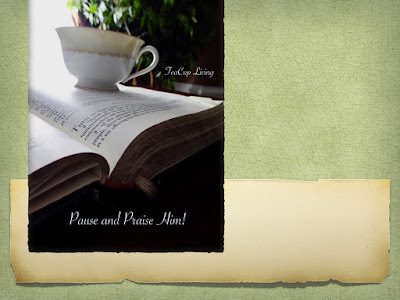 An encouraging breakout for any event, conference or retreat. Steep in a personal pause that refreshes. Discover the difference a personal pause makes. Be refreshed in a pause and praise in a small group gathering. 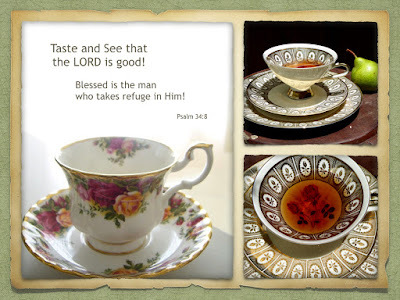 Confidence comes when we know the guidelines of manners, etiquette, and social graces. Carolyn shares the secrets of how to apply these skills with ease, warmth, and friendliness. She reveals creative ways to remember the roadmap to handling any overstuffed dining table and how to avoid faux pas. This tutorial is a refresher for some and an unveiling for others. This favorite program at mother/daughter teas touches upon conversation starters too. With confidence in knowing how to handle one’s surroundings then meaningful conversations bring about deeper connections. 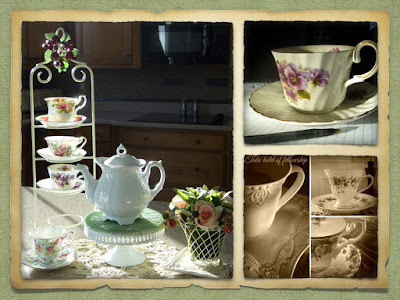 Pour a cup of tea and enjoy the TeaCup Lady's Pinterest boards at Carolyn K. Knefely.